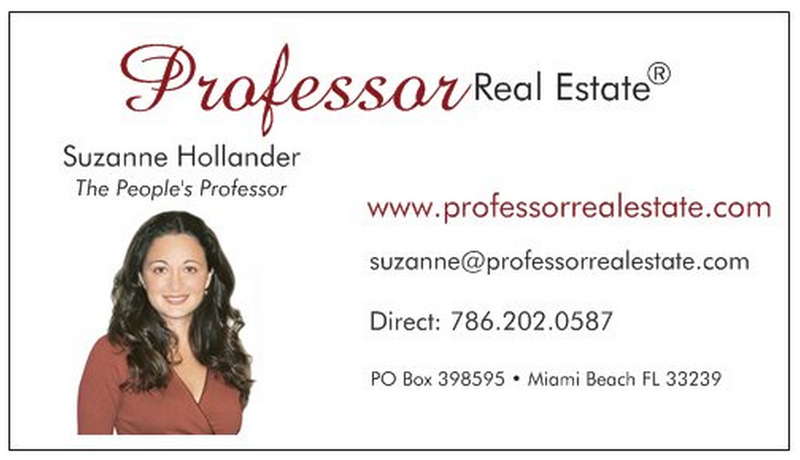 Professor Real Estate® Suzanne Hollander provides real estate education to the nation to help everyone make smarter real estate decisions. Suzanne Hollander is a voice for real estate, housing and property rights, frequently quoted in the media, including Wall St. Journal Money Watch, YahooFinance!, Miami Herald, El Nuevo Herald, Wallethub, The Real Deal, Mercado De Dinero USA & Scotsman Guide Commercial Real Estate edition. Watch Professor Real Estate®TV for a sneak peek of some real estate lessons! > Buying Real Property > Yahoo!Finance Quotes Suzanne Hollander On Buying Property with Friends!